It’s a well-known fact that chocolate and fruit go together like copy and paste. With this in mind, Lindt South Africa is now giving South Africans a whole new, bite-sized way to enjoy their favourite chocolate covered fruit with the new Lindt Fruit Sensation range. The delicious new range of dark chocolate snacks is Lindt’s answer to increasing local demand for high-quality dark chocolate snacks. 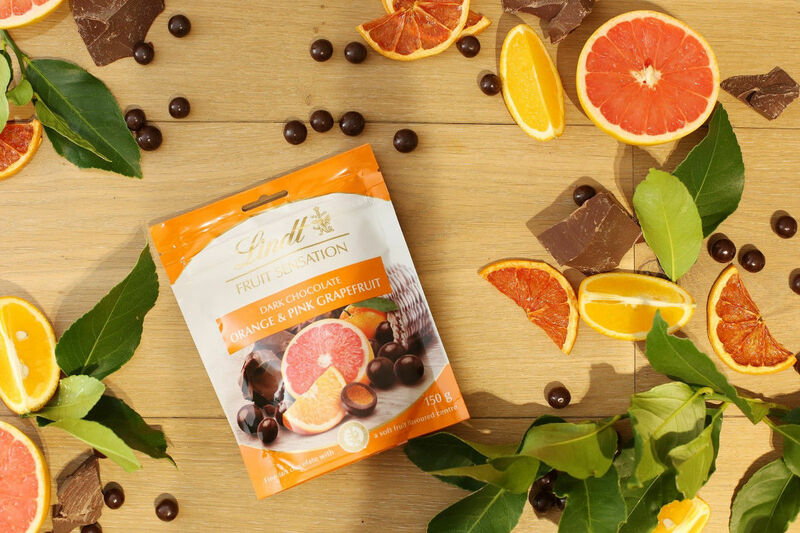 Each pack of Lindt Fruit Sensations is loaded with bite-sized treats with a chewy, fruity centre and the range includes three different fruit filling options which are made with real fruit purée. The flavours in the range include Raspberry & Cranberry (intense notes of raspberry with subtle, acidic notes of cranberry), Blueberry & Acai (two superfoods in one little piece! ), Orange & Grapefruit ( the ideal combination of orange sweetness and pink grapefruit bitterness). The Lindt Fruit Sensation range will retail at R64.95 for a 150g resealable bag. Shop your favourite Lindt chocolates online through PriceCheck now. Want more chocolate-related reads? Check out these 10 Weird & Wonderful Facts About Chocolate. Check out our Cooking & Recipes section for more foodie reads to make you salivate.